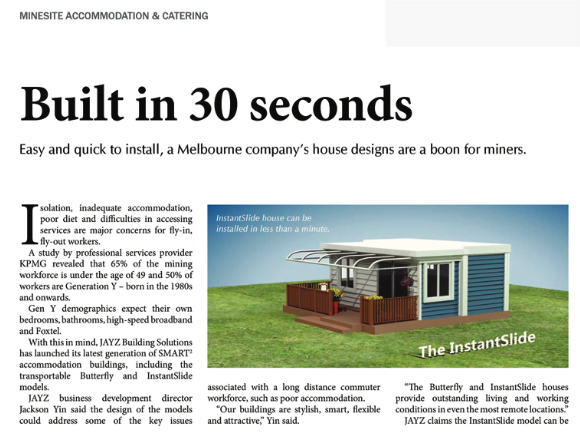 Australia’s Mining Monthly has published an editorial entitled: ” Built in 30 seconds” in its November 2013 issue of the magazine. The editorial highlights that our InstantSlide products are easy and quick to install. Click the image to view more.